We love Gaithersburg – after all, we based our company here for a reason. The people are great, the community is open-hearted, and there are always fun activities downtown. But Gaithersburg is still a city. And because it’s home to almost 70,000 people, it has a few of the problems larger cities have when it comes to air quality. The more people you have in one area, the more air conditioners, refrigerators, and cars you have running, the more cigarettes are smoked, and the less likely you are to have natural air purifiers like plants. 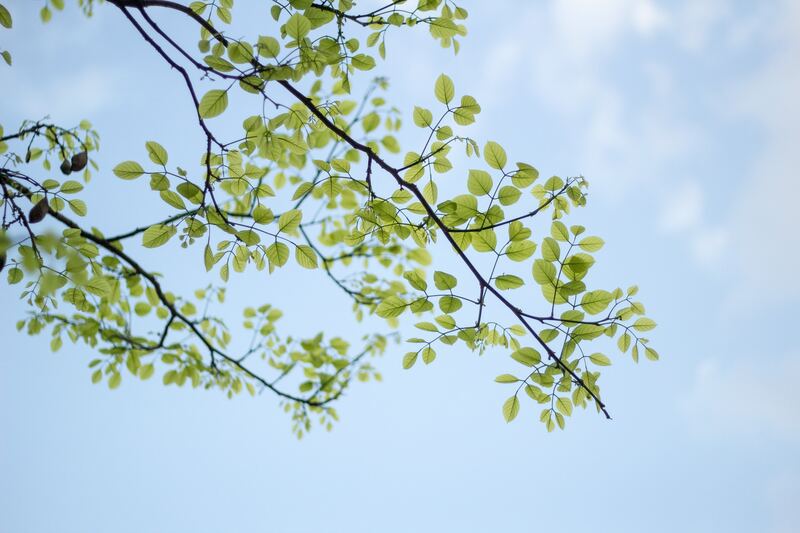 We’re lucky to be a Gaithersburg HVAC company because the city does a good job of maintaining beautiful city parks that both purify the air and make it a beautiful place to live. But as a Gaithersburg HVAC company, we also have a responsibility to the community’s residents to purify the air inside their home as best we can. Measuring your indoor air quality can be as simple or as complicated as you make it. If your air quality is really bad, you most likely already know. One great way to test your air quality is just to trust your senses. Does your air smell musty, moldy, or stale? That’s a clear sign that your air quality isn’t that great. You can even tell what may be wrong with your air quality by smell. Do you smell something musty, like wet logs? You could have a mold problem. If you smell tar, you need to call in a professional immediately; the smell of asbestos has often been described as tar-like. If you don’t trust your nose, you can invest in devices that will measure your air quality for you. These devices can measure volatile organic compounds which are harmful chemicals often found in cleaning solutions. If these linger in your air for too long, they can cause issues with breathing, headaches, and other not too pleasant symptoms. At Rod Miller, we’re not a fan of unnecessary duct cleanings. They can be expensive and a waste of time if you’re cleaning ducts that are already clean. But they also help to keep the air in your home clean and well-circulated. That means fewer pollen particles in your home and better air to alleviate any respiratory issues like allergies or asthma. The NADCA recommends your ducts are cleaned every three to five years – maybe more if you have someone in your home with breathing issues. But generally, we don’t recommend cleanings more often than that. Duct cleaning alleviates other issues like mold growth, excessive amounts of dust, and pests in the ductwork. One of the best ways to improve the air quality inside your home is to improve the air quality outside of it. Part of what we love about Gaithersburg is the pride people take in their city. They love their parks, communities and neighbors. As a Gaithersburg HVAC company, we know that older HVAC units can contribute to air pollution in the city. A great way of combatting that, is having a certified HVAC service technician evaluate your system’s efficiency. Is it operating as greenly as possible or is it working inefficiently and wasting energy? Upgrading to a more efficient HVAC system can be as simple as updating a few parts or going for an all-out system replacement. As homes and systems become “smarter” they’ll become more efficient based on the technology they use and operating systems they run on. Making your Gaithersburg HVAC system more efficient doesn’t have to be expensive or a big deal. Evaluate how you’re using the system. Can you turn down the heat a few degrees? Does your house really need to feel like an iceberg in the summer? Is your thermometer set to keep the house at one temperature all day long, even when you aren’t home? Consider changing your HVAC habits to make your system more efficient and better the air quality of Gaithersburg, both inside your home and out. IAQ stands for Indoor Air Quality. These systems use filters, lamps, air purifiers, humidifiers, and dehumidifiers to make the air quality inside your home healthier for you and your family. High Efficiency Particular Air filters are powerful filters that can remove over 99% of allergens and airway-irritating bacteria from your Gaithersburg HVAC system. However, HEPA filters won’t removes gases or fumes, including ones produced by cigarettes, gas stoves, and household cleaning products. Ultraviolet Germicidal Irradiation (UVGI) Lamps are another way to purify your home and duct system. These lamps stay just inside your vents and kill disease-causing microorganisms that are often the culprits of winter colds. Similar to HEPA filters, the lights don’t actually remove gases and are only useful in getting rid of microorganisms. Ionizer purifiers also remove airborne pollutants by attaching charged ions to particulates and then drawing them onto a collection plate which is periodically cleaned. While these purifiers are very thorough, they can produce trace amounts of ozone and occasionally make a small popping noise. We know Gaithersburg HVAC. We know the people, the community, and what they value in a home HVAC system. So when you need an HVAC company, call Rod Miller. We specialize in duct cleaning that keeps your air quality high and your family happy. Or give us a call when you need to upgrade your system to increase efficiency. Our highly-trained service technicians will be happy to help. 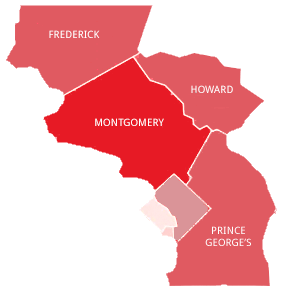 When you need an HVAC company that knows Gaithersburg homes and residents, call Rod Miller. We’ll help you get what you need, and you can always trust your home to us.